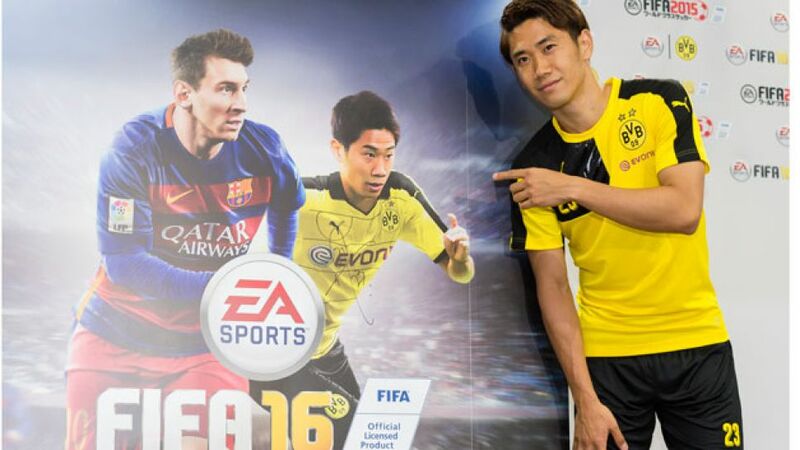 Tokyo - Borussia Dortmund superstar Shinji Kagawa will feature on the cover of the Japanese version of EA Sports FIFA 16 when the game is released later this year. Borussia, now a regional partner of EA Sports in Japan, were represented by Kagawa at a joint press conference on Monday afternoon in Tokyo, where the club are currently participating in the Bundesliga World Tour 2015. "It's obviously great to feature on the cover. I'm really looking forward to getting a chance to try out the game with my team-mates," said 26-year-old Kagawa, a 69-time Japanese international. The newest edition of the world’s most popular football computer game is set to be released on 8 October. Meanwhile, you can stay up to date with all the news from the Bundesliga World Tour 2015, including details of a resounding friendly win for BVB against Kawasaki Frontale, right here.